One theory is that that the spewing magma bubbles or particles of volcanic ash are themselves electrically charged, and by their motion create separately charged areas. Check it out, there are some amazing pictures there! The special effects in Clash Of the Titans, really tops the 1980's version..wow go technology. Yeah. That's badass. If there was something in this world that is truly badass, this is it. 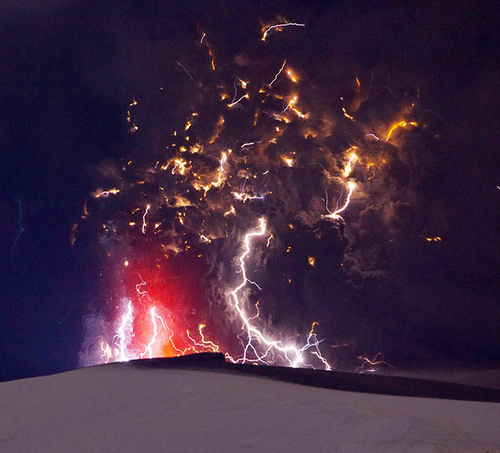 "Amazing Pictures of the Icelandic Volcano Eruption"